Webber EMI is establishing itself as a leader in the design and manufacture of Canister Conditioning Equipment. Webber’s Model 110 utilizes our highly-intuitive, Windows-based control system to allow a user to quickly set up and precisely load charcoal canisters with Butane/Nitrogen in accordance with all applicable EPA and CARB protocols. This Model comes in single and dual station configurations, as well as a model designed specifically for multi-cycle aging and conditioning. Then, in 2016 Webber launched it’s Model 210 GWC Canister Conditioning System for the aging of canisters using gasoline as the vapor source. Meets all required EPA/CARB conditioning procedures. 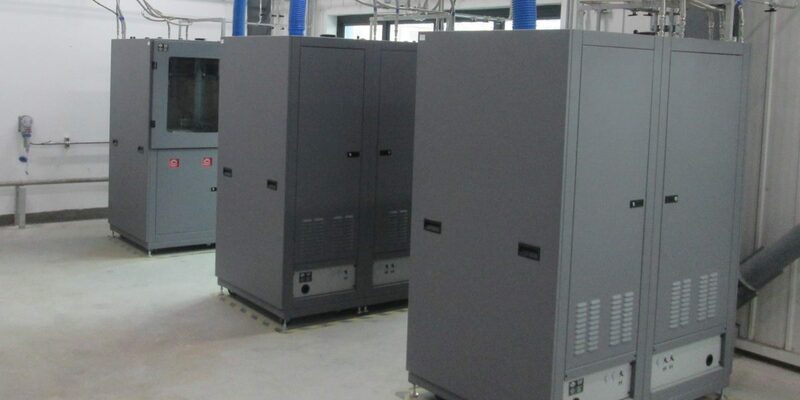 Sturdy modular enclosure and system design for ease of installation and expansion. Independent, sequential, and multiple canister loading operations. Minimal operator setup and system maintenance requirements. All ‘wetted’ components: Stainless Steel, Teflon®, or PVC. 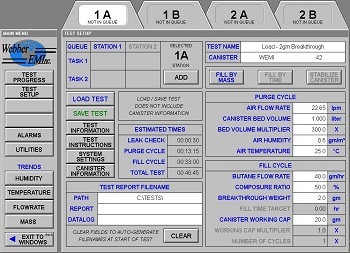 Ability to confirm calculated canister bed volumes & working capacity via EPA / CARB approved ‘breakthrough’ methodology. Canister Loading: User selectable Butane-to-Nitrogen percentage by volume. Butane/Nitrogen loading with high capacity vacuum-driven canister purge. Controls up to two stations. Displayed ‘station status’ and progress bar. Webber EMI has recently launched the Model 110-55 Canister Conditioning System. 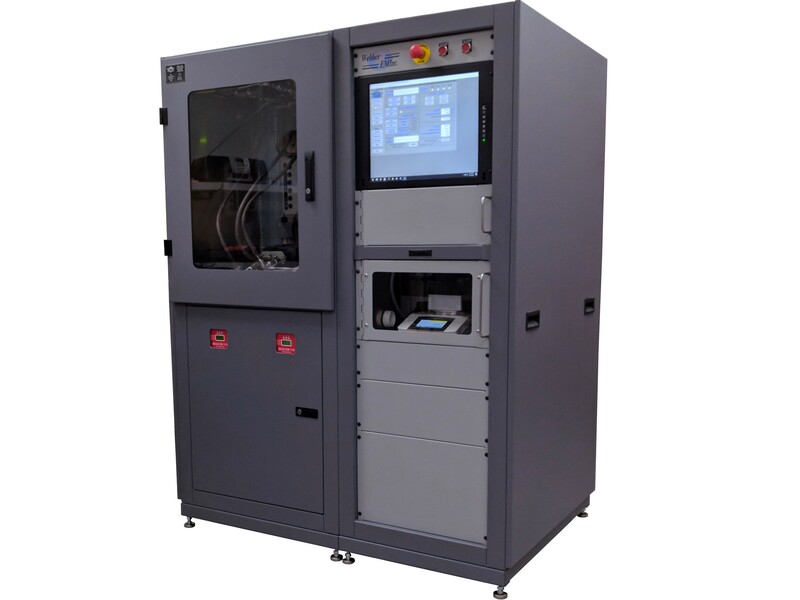 This system is designed for maximum flexibility to meet our customers’ diverse needs. The system comes with the ability to age canisters for an operator preset number of cycles, while monitoring the Canister performance real time on a scale. It also has the flexibility to condition a canister on a vehicle in your lab, or you can do both simultaneously. This system shares many of the same features as the standard Model 110 bench. By leveraging on our design, we help keep our costs down for you the customer. And if you are adding to your current Webber line-up of Canister Conditioning equipment you will find these systems to be an easy transition for your technicians to manage. L.E.L. (lower explosive limit) alarm system. Humidification monitoring of purge air. Dual Canister System allows simultaneous loading of two canisters with two canisters in the que. 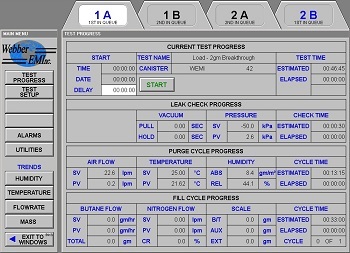 Intuitive Webber Operating System for Managing Canister Loading. Multi-cycle aging of canisters with easy to use set-up of Operator selected parameters. Mass Flow Controller Accuracy: +/- 1% of full scale. Repeatability: +/- 0.15% of full scale. In 2016, Webber launched its Model 210 GWC Canister Conditioning System for the aging of canisters using gasoline as the vapor source. Webber’s design has unmatched temperature control to go along with flexible programming to meet every customer’s needs. This includes high flow capability to simulate ORVR conditions, industry benchmark capability for controlling purge flow rates, and data recording to monitor how your canisters and catalysts are reacting and performing. The benches come standard with the test protocol to support the Diurnal Bleed Emission Testing (DBL) Procedure. These versatile systems come equipped with the capability to age with the traditional method using a butane and nitrogen mixture. And, as in the case of our Model 110 family, every system comes with Webber’s Proprietary Software to allow for easy and intuitive test set-up and recording. Our solutions are cost effective, practical and totally reliable. Canister Multi Cycle aging and DBL Testing Prep routine. The Webber Mobile Purge unit is designed to meet purge profiles stipulated by EPA, CARB and China 6 procedures. The Model 215 Mobile Purge Unit is designed with a 9″ W x 18″L x 7″ H tray with the purge controls to hook to your canister inside your thermal chamber. 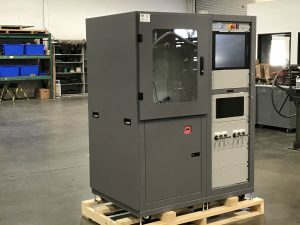 It is equipped with 20 foot lines back to the 24″ W x 32″ L x 45″ H cabinet on wheels that houses the I/O, controller, vacuum pump and the easy to use Webber Software Interface. Four (4) thermal connectors are provided to monitor temperature points during the purge, if so desired. 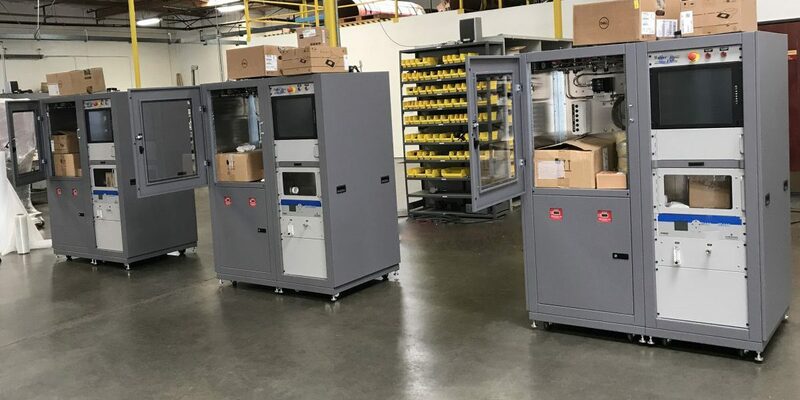 Also provided is a multi connector for communication to an OPTIONAL external scale for real time monitoring of the weight change. The user can set parameters to purge by volume, weight or time. Variable purge profiles can be set. Also, a target pressure differential across the canister can be set and the Model 215 will automatically purge at flow rates that won’t exceed the target pressure limit. MFC/MFM for accurate purge rates. Option to control pressure on the canister during purging. Four (4) Thermal Couples for monitoring temperature points during hte purging process. Capability to monitor and record an external scale. Computer, monitor and intuitive Webber Operating System User Interface. 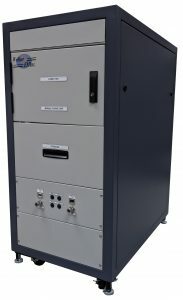 24″ W x 32″ L x 45″ High Cabinet on casters housing Vacuum pump, computer, controller and I/O. Up to 20′ harness for connecting to the mobile unit that can be housed in an thermal enclosure or other remote location. Purge air humidity and temperature monitoring.